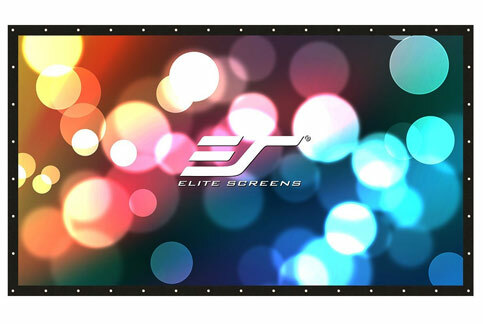 The DIY Outdoor Rear Projection Movie Screen is made of a theater-grade PVC material that is easily fastened into place by use of its corner grommets. They evenly spread out the material tension for a flat projection surface and readily attach to their surrounding environment such as garage door frames, walls, trees and pole supports. Its 2.2 gain white projection surface is textured to avoid hot-spotting while providing color neutrality, and a wide viewing angle that is perfect for social events. Each screen is professionally matted to enhance visual contrast and to absorb the over scan or “bleed” of the projected image. All these features plus its DIY simplicity that allows the average person use it makes the DIY Outdoor Movie Screen a treasured asset for many seasonal events to come. Can the DIY141RH1 rear projection screen be used as a front projection screen also? We have times when rear is more appropriate than front and would like to purchase a "dual" use screen.